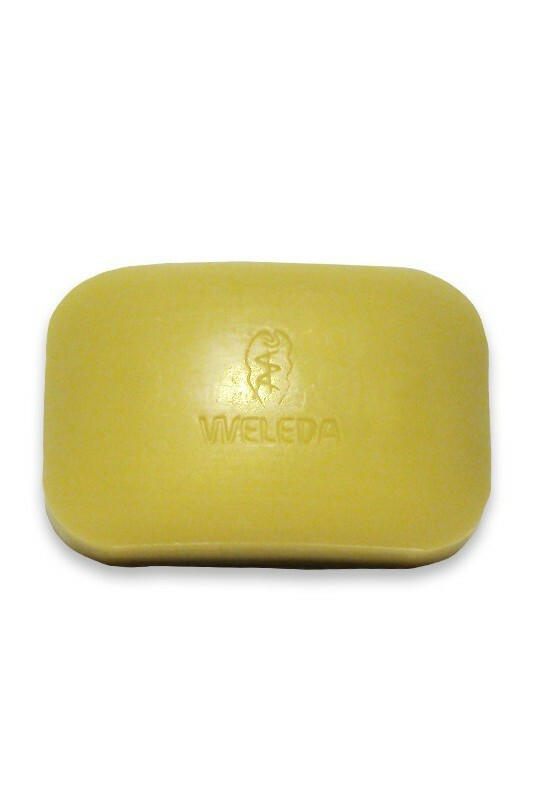 Skin in need of balanced moisture gets delicately cleansed with Weleda Lavender Soap. It’s a gentle and effective bar soap that softly removes dirt and impurities from your body and supports your skin’s natural moisture regulation. The visible surface of your skin is moisturized and balanced by Biodynamic iris root extract, leaving your skin looking and feeling healthy and soft. Organic chamomile flower extract is a mild and effective purifier that calms and soothes your skin’s sensitivity. Dry irritation is calmed and cleansed by the naturally mild antiseptic properties of organic pansy extract, while the aroma of pure, organic lavender oil brings calms to your skin and senses. 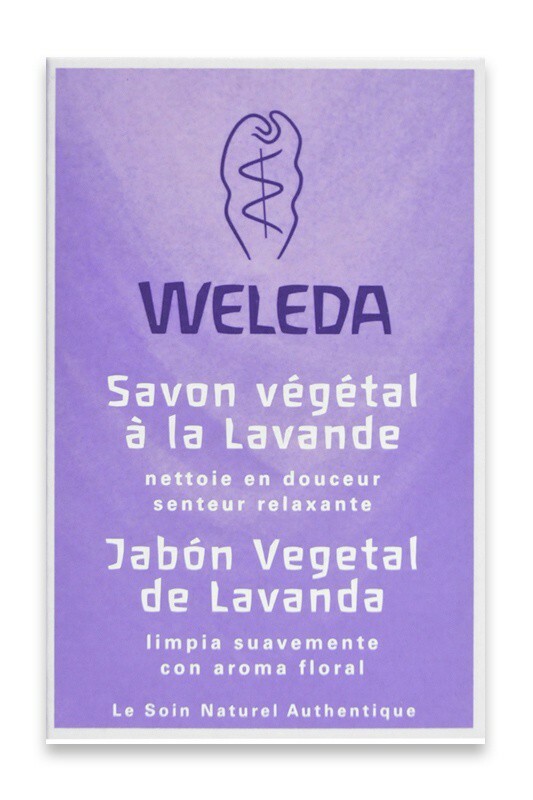 Your skin emerges clean and soft after using Weleda Lavender Soap, with natural moisture in perfect balance. Apply Weleda Lavender Soap to your wet hands or a wash cloth. Wash your hands and/or body and rinse with clean water. Sodium Palmate, Sodium Cocoate, Water (Aqua), Sodium Olivate, Glycerin, Fragrance (Parfum)*, Glycerin, Iris Germanica Root Extract, Chamomilla Recutita Matricaria (Chamomile) Flower Extract, Linalool*, Viola Tricolor (Pansy) Extract, Oryza Sativa (Rice) Extract, Lavandula Angustifolia (Lavender) Oil, Malt Extract, Sodium Chloride (Salt), Sodium Stearate, Alcohol, Limonene*, Linalool*, Citronellol*, Geraniol*, Coumarin*.